Affordable Warmth Scheme Qualifying Criteria. Apply Today. The Affordable Warmth Scheme is a Government initiative designed to help householders who receive certain state benefits, to replace their faulty electric storage heaters or faulty central heating boilers. You may be entitled to an insulation grant or a heating grant if you live in social housing and your home is not energy efficient. Affordable Warmth Scheme Qualifying Criteria differ for each of these two groups of people. 1. Affordable Warmth Scheme Qualifying Criteria regarding your home. You live in your own home or you rent your home from a private landlord. 2. Affordable Warmth Scheme Qualifying Criteria regarding your State Benefits. 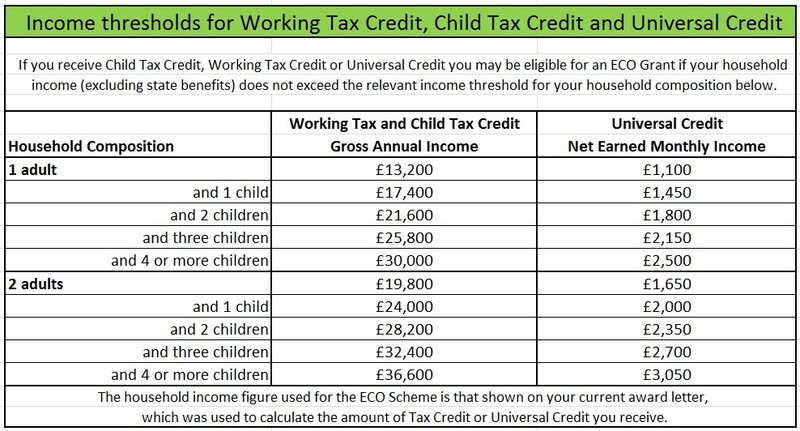 * Maximum household income thresholds apply to these State Benefits and they can be found in the table below. You must have at least one existing electric night storage heater installed in your home which is faulty or inefficient. Less than 86% efficient (C rated or below) AND faulty. Is more than 86% efficient AND would cost more to repair than to replace. 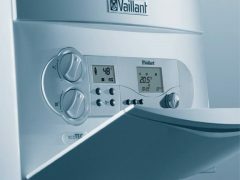 You can check the energy efficiency of your central heating boiler HERE. To qualify for a Storage Heater Grant or a Boiler Grant you must receive at least one of the State Benefits or Tax Credits listed above. 2. 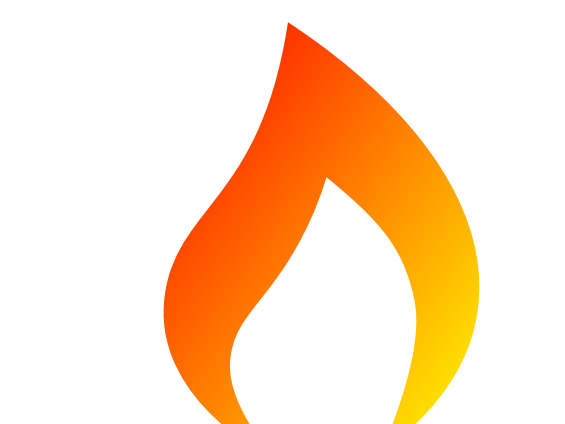 Affordable Warmth Scheme Qualifying Criteria regarding the energy efficiency of your home. YOUR HOME HAS AN EPC (Energy Performance Certificate) RATING OF E, F or G.
You do NOT need to receive State Benefits to qualify. Some ECO insulation measures (such as loft insulation and cavity wall insulation) are available to tenants in Council Houses and Housing Association Homes but the installation of boilers and electric storage heater replacements or repairs will not be funded. Grants will be available for central heating systems to be installed in social housing properties BUT ONLY IF no central heating system has been installed in your home before. Also, it appears that only tenants in housing association properties which are wholly owned by the housing association will qualify for an ECO grant. Householders in shared ownership properties are NOT covered by the Affordable Warmth Scheme, although this may change. As soon as the ECO Grant rules for social housing have been properly determined we will start taking enquiries from householders in council properties and housing association properties. If I Qualify, will I have to contribute to the cost of new Storage Heaters or a new Boiler? If you satisfy Affordable Warmth Scheme Qualifying Criteria you should be entitled to a STORAGE HEATER GRANT or a BOILER GRANT. However, there is no guarantee that the grant will cover the full cost of installing replacement storage heaters or a replacement boiler. From 1st April 2017 the Affordable Warmth Scheme has adopted a system of ‘deemed scores’ to calculate the amount awarded for ECO grants. This means that the amount of your grant is determined by a number of factors relating to your home and your current heating system. 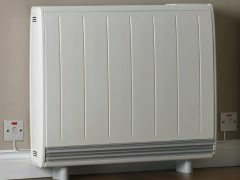 The amount of your storage heater grant or boiler grant will be affected by the type of property you live in, including whether it is a house, bungalow, maisonette or flat, how many exterior walls you have, how many bedrooms, whether you have cavity walls or solid walls and the type of heating. If you are awarded a grant, the amount will be compared to the costs of replacing your faulty storage heaters or faulty boiler. If it is sufficient you will get free storage heaters or a free boiler; if it is insufficient you (or your landlord) may be asked to contribute towards the cost. Can I choose which kind of heating system I have installed? No, Affordable Warmth Scheme grants are only available to replace ‘like for like’ heating systems. Your existing heating system will determine which type of grant you may be entitled to. If you satisfy Affordable Warmth Scheme Qualifying Criteria you may be entitled to a STORAGE HEATER GRANT or a BOILER GRANT but the scheme only offers storage heater grants to replace existing faulty storage heaters and boiler grants to replace existing faulty boilers. Also, at the moment storage heater grants are only available to replace electric storage heaters which are installed in your home AT THE TIME of your application. Grants are not available to increase the number of heaters. However, the Government is considering whether to change this where there are an insufficient number of electric storage heaters in a property to heat it properly, throughout.